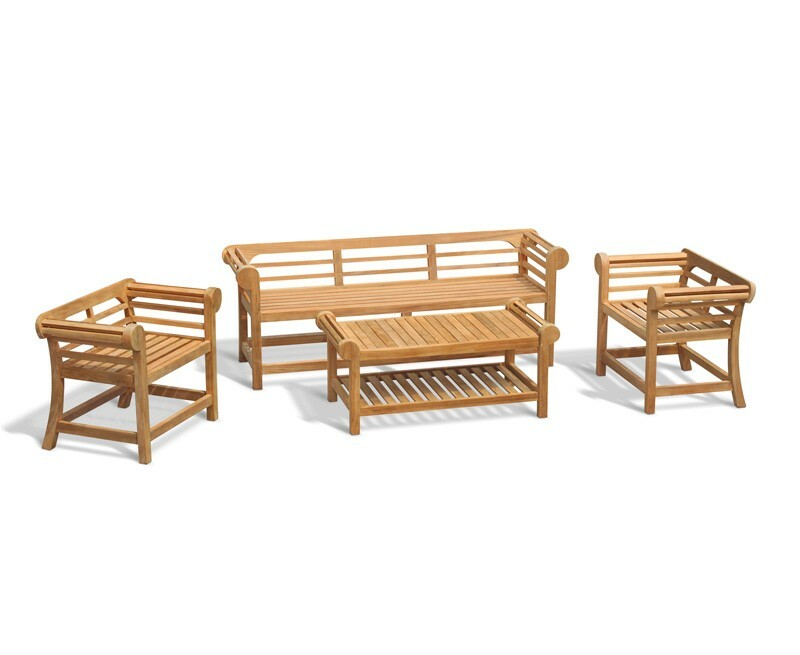 A timeless classic, this Lutyens teak garden set is inspired by the designs of the pre-eminent British architect Sir Edwin Lutyens, and features an elegant low back for a contemporary twist. 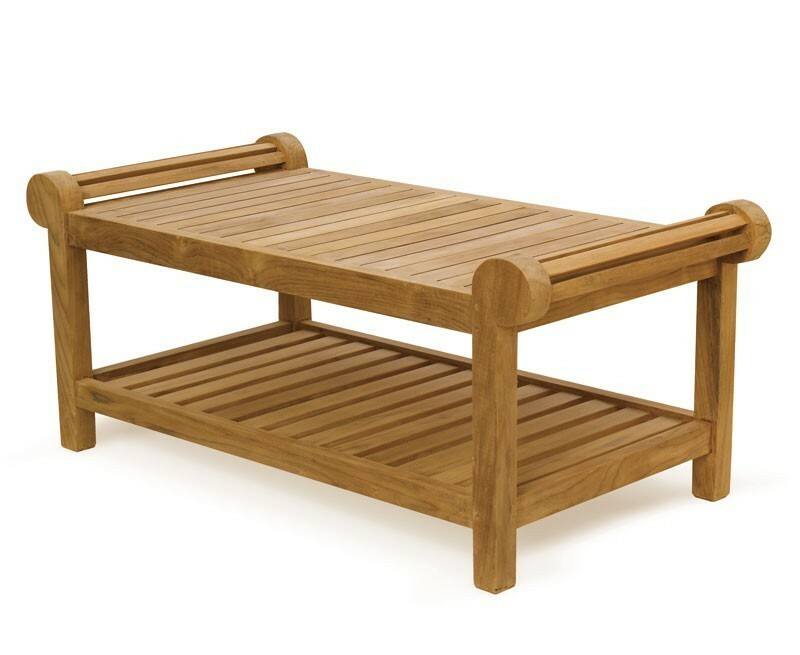 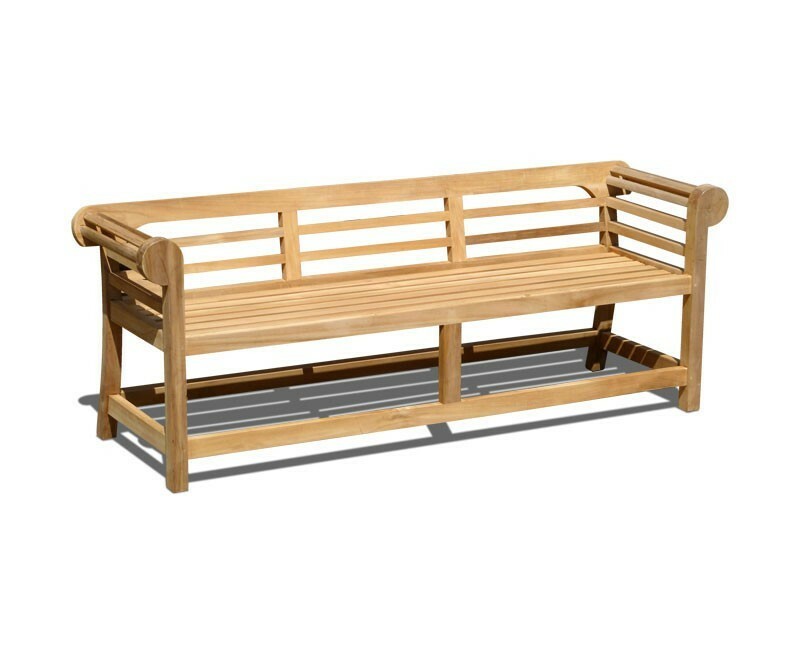 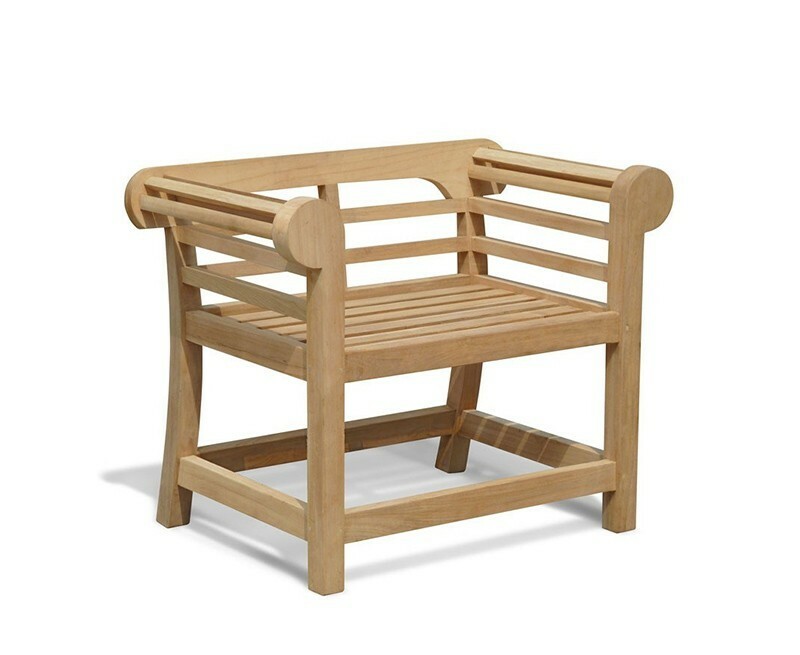 Beautifully crafted from sustainably sourced grade-A teak, this wonderful Lutyens teak outdoor furniture set has been finely sanded for a smooth-touch finish. 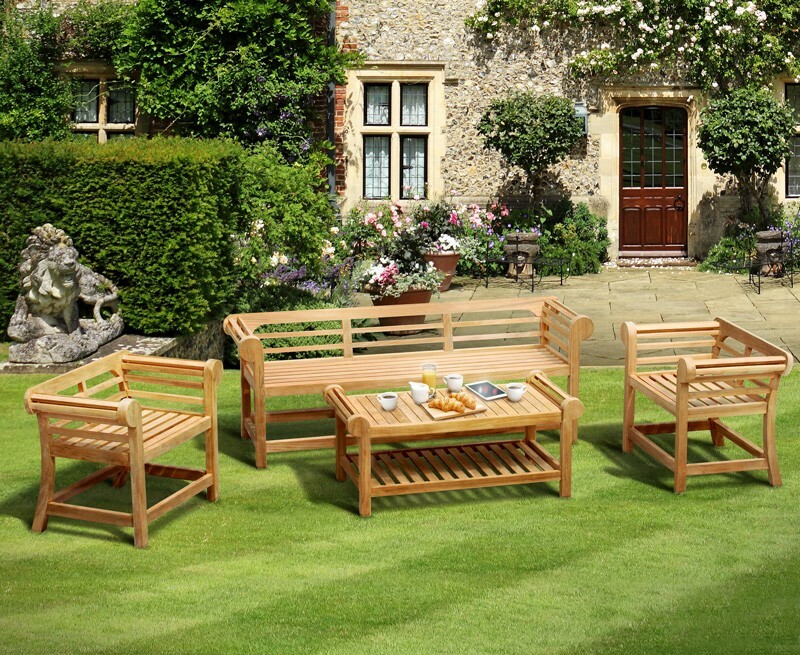 The set can be remain outdoors all year round in any weather, requiring very little maintenance to keep it looking great. The iconic scrolling arms and graceful low back of the 4 seater bench and armchairs will provide a stunning setting for garden entertaining, and to complete the set it comes with a matching coffee table with scrolled detail and shelf.